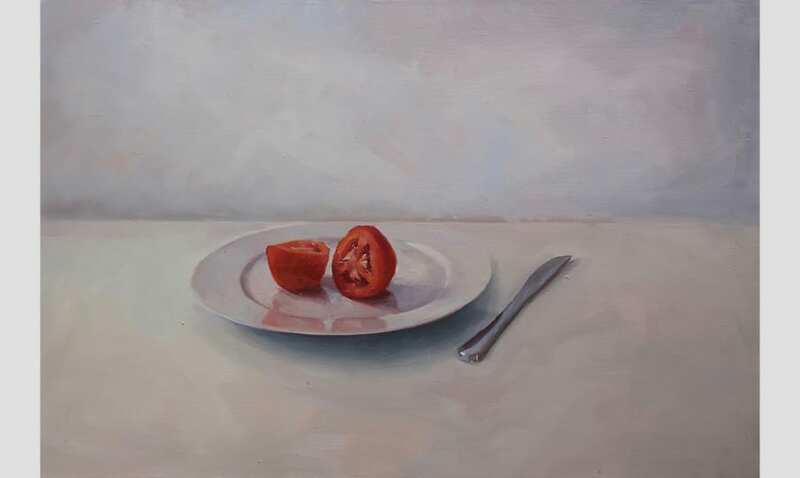 Amy Hughes is a contemporary British painter. 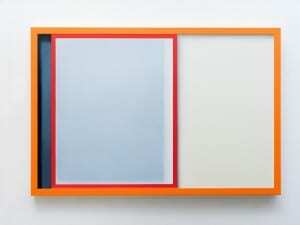 Her compositions consider relationships between body and mind, as well as society’s fascination with the physical form. We speak with the New York-based artist to find out more. A: Your work often deals with themes surrounding the female body, typically your own. Why do you choose your body as the subject of your work? AH: For me, it just feels more authentic and less staged. I inherently know what I’m trying to convey. People often ask me “how does it feel to paint yourself?” but the truth is I completely separate myself from the painting. I am not trying to create beautiful portraits of myself. In my work, my body is merely the vessel for my idea. A: Tell us about Encased, Smothered, Asphyxiation, Connect and Emerge, and how they work separately as well as a series. AH: I think together they build a larger narrative about the body and mind. In isolation they each have more of a specific “sensation”. For example, Encased definitely has more of a psychological aspect, alluding towards inner suffering. Connect has more of a physicality and tangibility. A: In your paintings, skin, flesh and movement of the body are key – what is it about oil paint that helps to express the body in such a way? 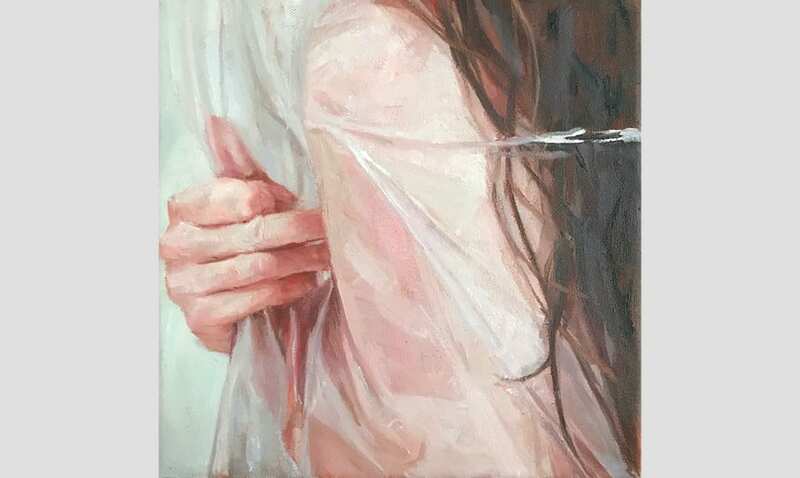 AH: I think oil has similar qualities to skin; it can be applied as a glaze to create a translucent effect, while in other areas be more opaque and luscious. The very substance of it makes me feel like I’m painting with flesh. Oil also seems to have infinite possibilities and you can manipulate it in a way that I don’t think you can with any other medium. A: Have your earlier works depicting animal meat and flesh informed how you depict the human body? 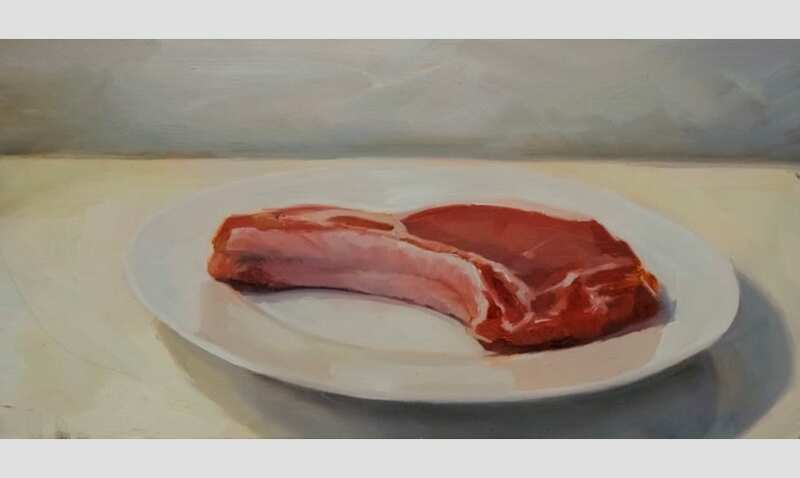 AH: The series depicting meat was in a lot of ways a precursor to my current series. 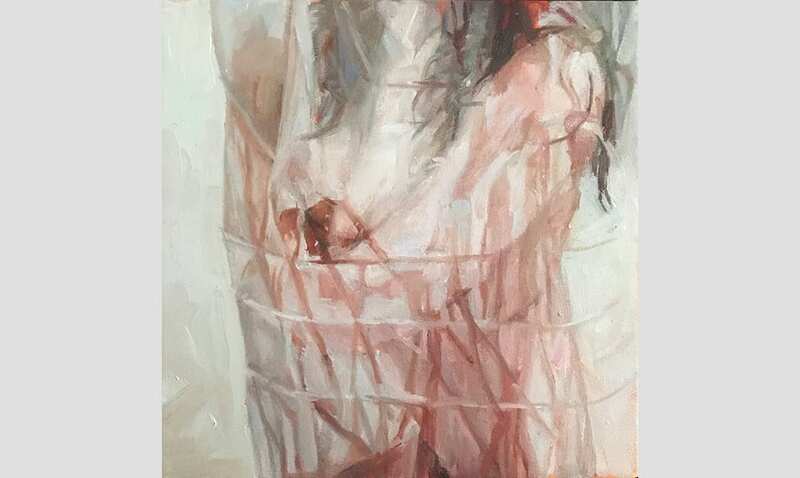 Painting meat really allowed me to have an understanding of what we are made of, and I think helped me to work towards being more painterly and fleshy with my figurative depictions. 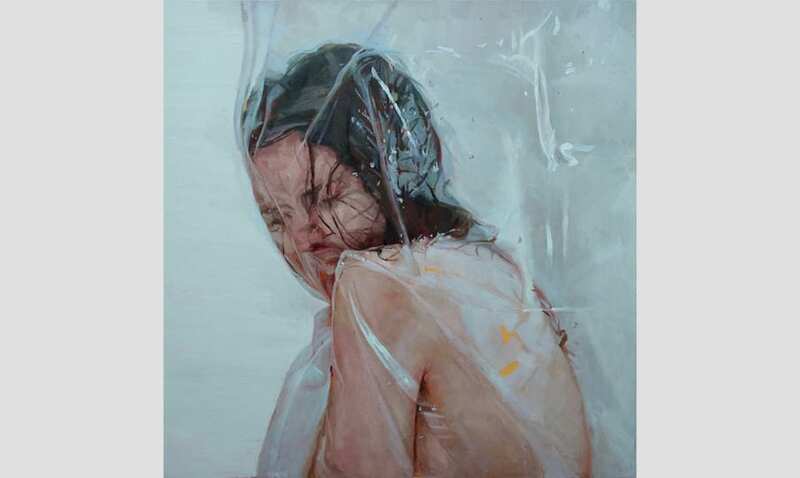 A: You’ve mentioned that Jenny Saville’s work was “a massive inspiration, especially during a time when I felt like no one else was making contemporary figurative or representational works around me.” How do you feel now? 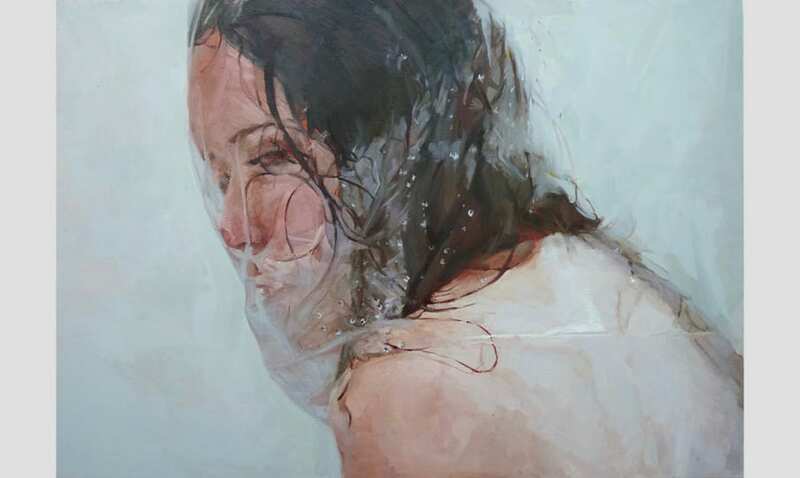 Do you see a robust future for contemporary figurative painting? AH: I definitely think it’s beginning to change again; I suppose there will always be “trends” in the art world. Over the years I’ve realised there are plenty of artists making all kinds of work – it’s just knowing where to find them. A: From where else do you find inspiration for your work? AH: I definitely take inspiration from my own experiences, particularly as a woman and also from events happening around the world. My work is part autobiographical and part sociopolitical. A: Which is more important for a contemporary artist: inspiration or drive (or do you need both)? AH: Definitely both. I was once told “you can’t make art in a vacuum” and that has always stuck with me; you need to know what came before you, and what’s happening around you. Drive is so important because without that, you’ll likely never make the work and never push the work out there either. A: You have recently begun accepting commissions for animal portraits and your work was featured in the 2017 Westminster Kennel Club show. What is your interest in painting animal portraits and how do you approach a new newly-commissioned project? AH: Commissions are great because they give me a break from my own work and a chance to reflect. Commissions present interesting challenges because you are trying to create accurate depictions of someone’s pet that they know and can recognise immediately. I find it is important to achieve the likeness, but what’s more important is trying to capture the essence of the personality. A: It has been a busy year for you – how do you balance exhibition prep and promotion with creating new work? AH: I do find it a challenge not to become too blinkered by just working in the studio. For me, I find it hard to attend the many openings and events, because I always feel conflicted between being in my studio and meeting deadlines, and actually getting out there and networking. It brings me back to the earlier question: you’ve got to have the motivation and drive, and treat it like a job because it is, and treat each aspect of it with the same level of importance. A: What is a typical day in the studio like for you? AH: The past year, I have had a studio in midtown in New York with some friends. Being an artist can be quite lonely at times, so having that community around you is so important. Typically I arrive at the studio in the early morning, look at some of my art books and start painting right away. At lunch I go into my friend’s studio and we talk about our work, discuss any technical and conceptual issues we’re having, before returning to our studios for a few hours before we head out to an opening or talk. A: What do you have planned for 2018? AH: I will have a solo exhibition called Host at 508 Kings Road Gallery in London – they will show some of my small works 3-9 January. Next will be a solo exhibition at Miranda Kuo Gallery in New York, exhibiting my larger figurative works 17-31 January. Plus more solo and group shows, and plenty of commissions! It will be a busy but exciting year for sure! With a wry sensibility, Leeds-born Marcus Harvey explores what it means to be British, deconstructing identity through a collision of humour and art. Chris Gollon has been probing the human condition from an absurdist point of view for the greater part of two decades. His work promises to evoke this age-old topic. The proof of painting’s liveliness is to be found in Christopher Page’s second solo show at Hunter/Whitfield. His paintings only really begin to work when you are in front of them.